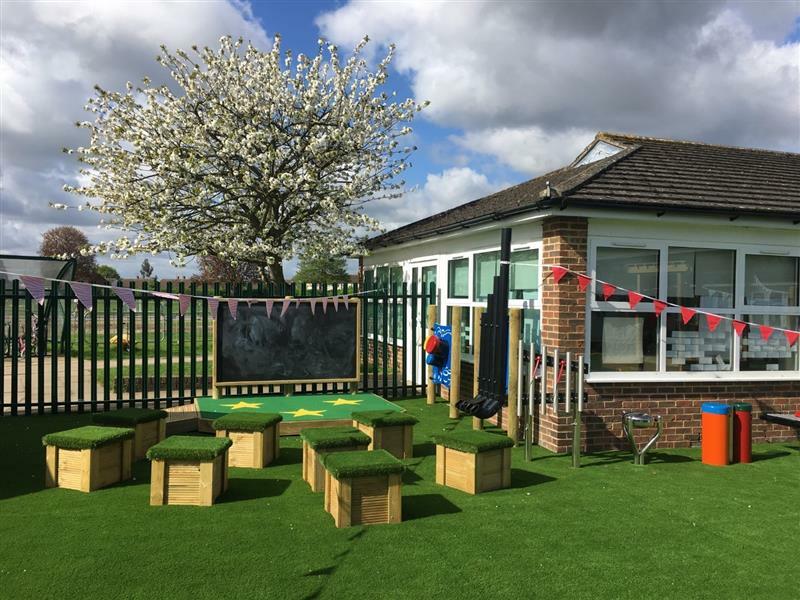 Our Playground Consultant, Becky Hazell, met with staff at Priory School in Slough, to discuss ideas for developing their outdoor playground. 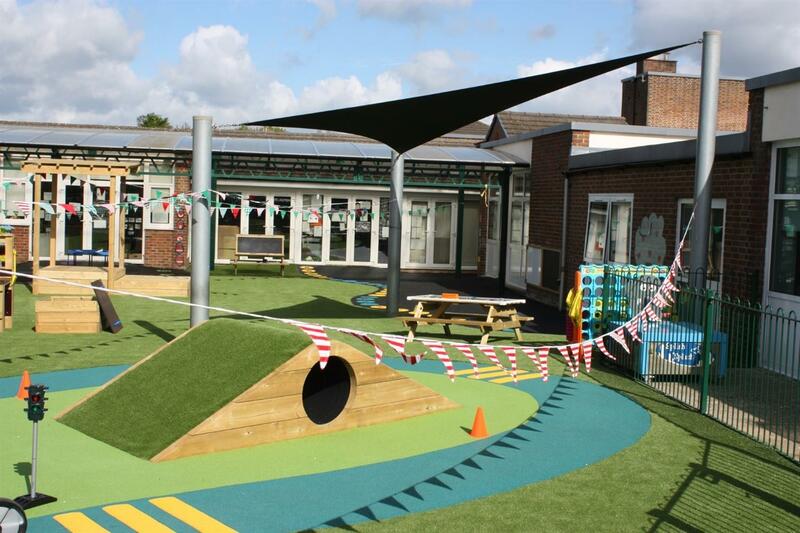 Becky’s expertise and wealth of experience as a primary teacher herself, coupled with the school’s passion for creating a unique outdoor learning space, has produced a striking transformation to the school grounds leaving them almost unrecognizable. 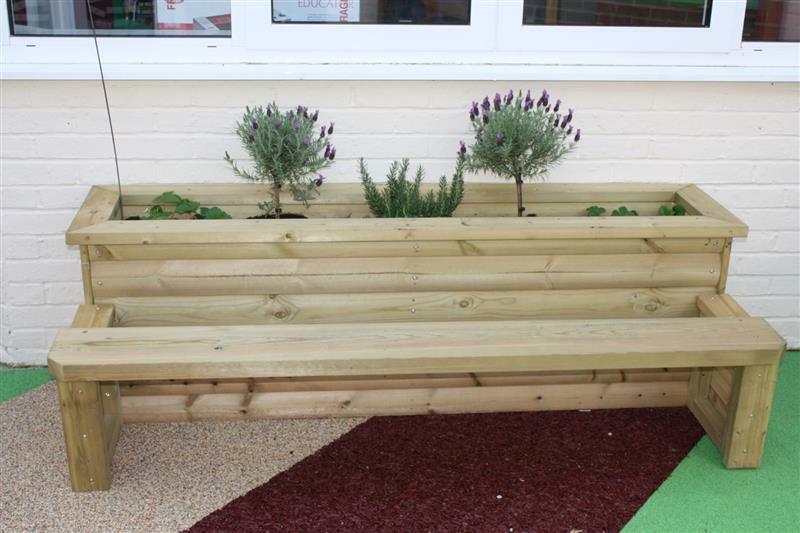 The school had specific requirements for what they were looking to achieve out of the space. Inclusive throughout with ramped access. The incorporation of textures for sensory learning. Opportunities for active physical play, without overcrowding the learning environment. Low maintenance. High quality treated timber products, which do not need to be treat or maintained. The main features of the new physical development zone are a fantastic Cheviot Log Climbing Frame and a Climb Through Tunnel Hill. The Cheviot Climber is a triangular framed log climber with an integrated scrabble net and rope handrails. It’s an open-ended resource that the children are using in Physical Education and outdoor play to develop upper body strength, grip strength, balance and coordination. Similarly, the Climb Through Tunnel with a walkover hill is great for getting children to tackle early learning goals of slithering, balancing and rolling. Both promote self-confidence as the children achieve their aims and learn to encourage and support each other along the way. The area is beautifully enhanced with a bright blue bike and scooter track, with speed bumps around the outside and a crossing zone. Dressed with cones and traffic light posts, it feels lifelike for the children and helps them to practice and learn road safety, along with a whole host of other fun and imaginative activities. It has aerobic benefits too and is perfect for gross motor development. Brightly coloured alphabet circle markings along the edge of the surfacing are good fun for the children to jump and leap across; exercise and learning the alphabet at the same time! 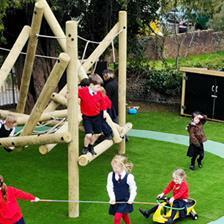 View our range of playground equipment for physical development here. A bespoke Performance Stage with a bright yellow superstar design is so enticing for young children and another great way for promoting physical activity and social development. Creating this area as a complete performance and musical zone, with the addition of Bongo and Batonka panels and Moveable Artificial Grass Topped Seats, has been a really popular choice and there have been some fabulous performances! The children are practising communication and language skills, learning valuable listening skills and growing in confidence as they perform in front of friends and teachers. We have an excellent range of imaginative play products that you can view here. Making sand and mud pies at the Mud Kitchen has already become a regular feature of the school day, and the children are delighted to be exploring all the different textures as they mix sand and soil with water. It’s ideal for language-rich investigations and plenty of problem-solving opportunities. The chalk top for labelling and recipes allows frequent mark making, so that reading and written language can become a full feature of playtime. With a covered Mud Box situated right next to it, there is always a ‘clean’ and plentiful supply of play soil. Priory School has stocked their Mud Kitchen well with dustpans and brushes on the shelves so children can even clear up after themselves as a feature of play! The ever-popular Pentagon Water Wall is enjoyed by children and teachers alike. It was an essential choice for Priory School, incorporating sensory learning, investigative problem solving and scientific learning. It’s an ideal product for teaching subjects such as water cycles, where rain comes from, gravity, flow and kinetic energy through hands on learning. It has moveable chutes that children arrange themselves and plan a course, a spinning wheel for water to travel through, pumps for children to transfer the water to the top, and a fabulous cloud feature to make it rain! 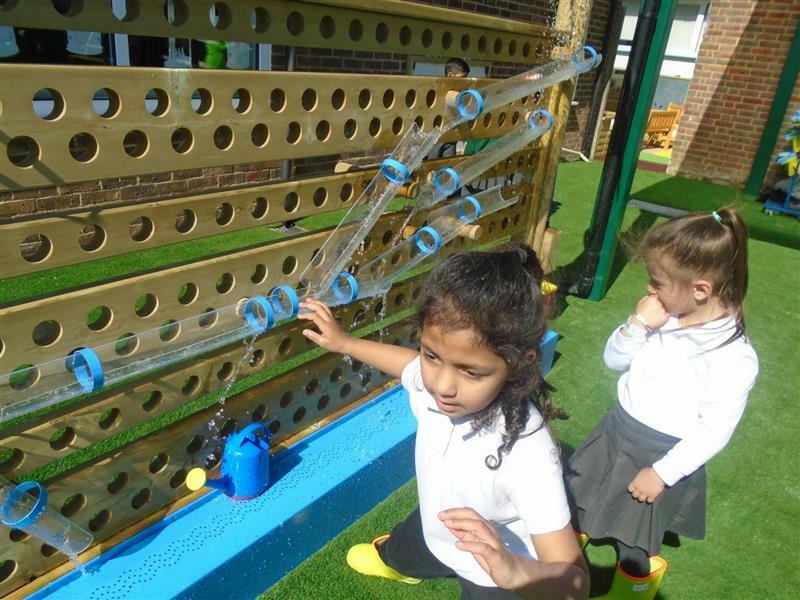 Children have been using all sorts of different vessels to transport water and play at the Water wall as much as they can. The big Sliding Sandpit ensures there is plenty of space for everyone who wants to explore, and the children at Priory School have been using toy diggers, buckets, spades and other vessels for measuring, pouring, manipulating the sand, creating patterns with their hands and developing fine motor skills. The shelter means they can spend plenty of time playing on hot days and are well protected from the sun. View our amazing range of messy play products for mud, sand and water here. 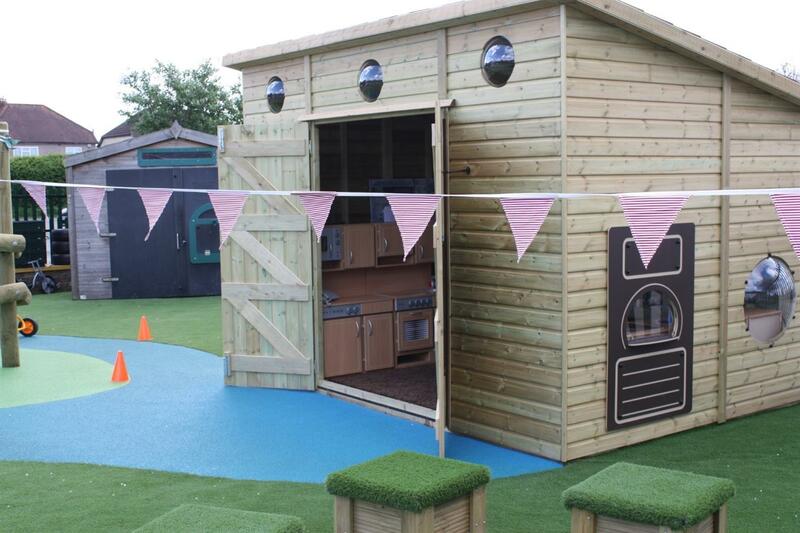 Priory Schools’ new Play Cabin is a lovely open-ended EYFS resource. Offering a sheltered role play and outdoor writing area, it also doubles up as an ever-useful lockable storage space for outdoor equipment. 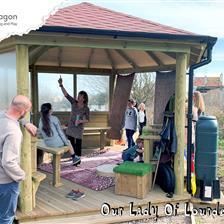 Teachers at Priory School have set up a fabulous ‘home away from home’ role play zone in their Play Cabin. Equipped with a model washing machine and oven, a sink, microwave, telephone, cupboards and shelves for storage - it’s a real social hub and the children can be so creative in their play. With fun bubble windows to peer out of and let the light in, and a cosy carpet on the floor; it is an enchanting, enticing cabin with limitless imaginative play opportunities. A table in the middle also acts as an outdoor art, craft and writing table - a beautiful calm and relaxing place to go and practice handwriting skills and get crafting and constructing. Whiteboards and chalkboards, both attached to walls and freestanding on posts, as well as an easel table to allow for child and adult lead writing throughout the outdoor space, provide the final icing on the cake. A little walkway at the edge of the new playground leads through to a hidden corner, sheltered by the school building walls, which we have transformed into a beautiful, quiet, sensory garden. It’s a relaxing area with comfy benches, and a large Planter Bench now filled with an array of gorgeous colourful, textured and scented plants. The Giant Mirror reflects light, allows the children to observe their reflections, and creates an illusion of space. The Giant Chalkboard encourages mark making and allows children to express their thoughts and ideas through writing and drawing in a calm environment. 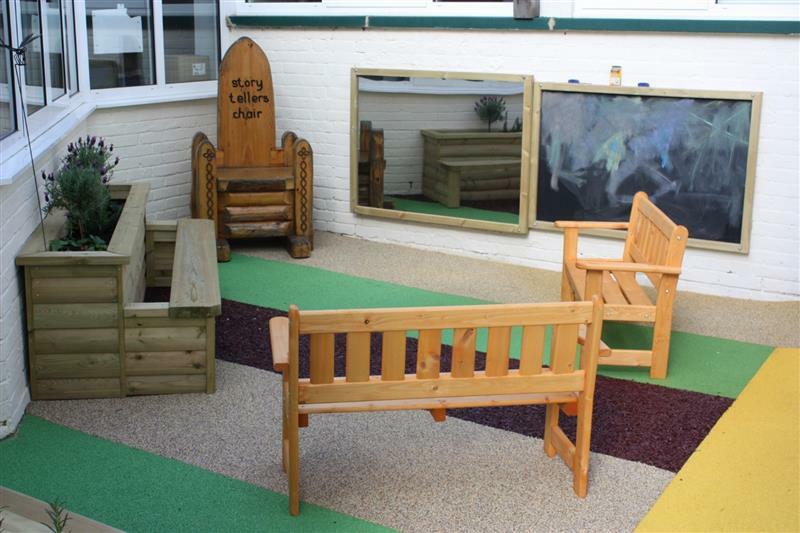 It’s a brilliant space for outdoor reading and smaller group learning. Mrs Laver, Headteacher at Priory School, opened the new outdoor learning area for the Reception children on a beautiful sunny morning. The whole area was dressed with pretty bunting for the occasion and the children were so excited to see and use all the new resources available to them! 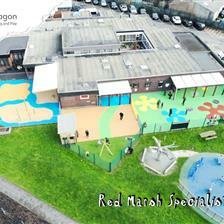 If you are considering a redevelopment of any part of your school grounds, please do not hesitate to Contact Us. We are always available to provide a no obligation, free consultation. 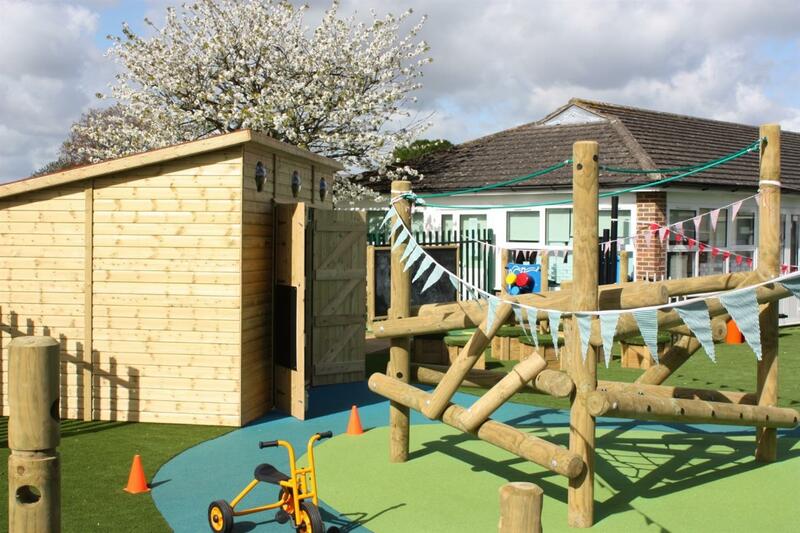 You can view our full range of outstanding early years outdoor play equipment for primary schools and nurseries by clicking here.